Check out our Best VPN for Mac guide updated for 2019. Using a VPN service with your Mac is as important as using one with any other device. However, finding a good VPN for Mac, let alone the Best VPN for Mac is incredibly difficult. Most providers concentrate on offering support for mobile devices and Windows systems and often Mac users can find themselves a little under supported. 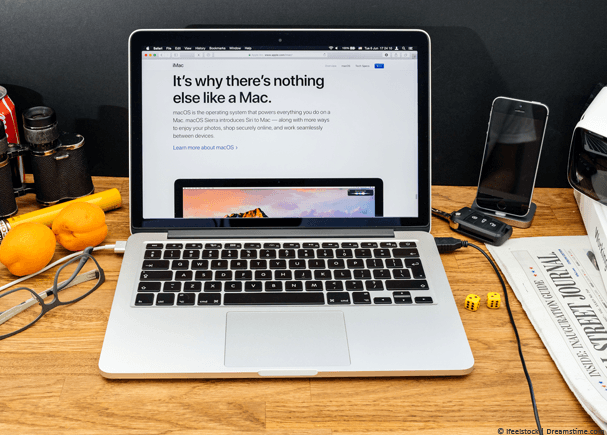 While there are guides out there on reliable VPN services for Mac they’re often outdated and the information contained in them is no longer valid. It’s why we’ve put together this updated 2018 guide on the Best VPN for Mac. After trying and testing a whole host of providers who are suitable for Mac, we’ve put together a list of the Top 5 below. IPVanish is the number 1 VPN provider when it comes to using on a Mac. They support a whole range of devices but most importantly they have a dedicated Mac client which makes using their VPN service easy and fast. Without a doubt our favourite feature of the IPVanish service is their no-log policy. While many providers store no logs of your activity, most store logs of your connection data. This can include what time you connected, what server you were assigned and a whole lot more identifying information. IPVanish store no activity or connection logs which keeps your actions and when you carried them out private. The Mac client works with OS X 10.6.8 and higher and allows connection via PPTP, L2TP and OpenVPN. We really like the killswitch feature of the client which will halt your internet connection should the VPN drop unexpectedly retaining your privacy. ExpressVPN is another provider that is great for use with the Mac. They have dedicated Mac support and their Mac client is one of the best in the industry. Compatible with almost all versions of Mac OS from 10.6 upwards including Mavericks, Yosemite, Sierra and High Sierra the client for Mac offers everything its Windows counterpart does. One of the best features of the Mac client is the ability to use split-tunnelling which allows you to select specific apps to make use of the VPN connection and others to fall outside of it. The standout feature of ExpressVPN has to be their huge server selection which will let you connect your Mac device to more than 94 countries across the world. This is more than most other providers out there so although the services costs a little more than others you also get more for your money. If you’re unhappy with the service there’s a 30-day money back guarantee so you can test it risk-free for an entire month. 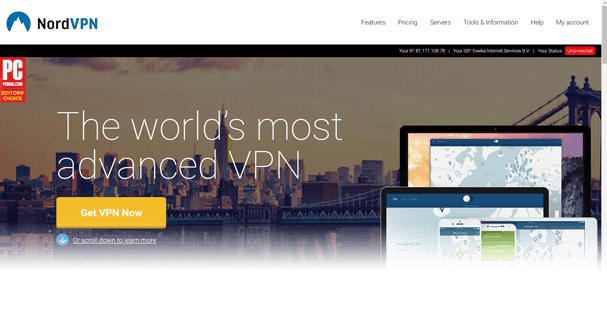 NordVPN enters our Best VPN for Mac guide for the first year and even though they’ve offered Mac software for a long time it’s more for their improvements as a service that we’ve included them this year. Their Mac client is one of the easiest to use and within just a few clicks you can be connected and secured. If you demand more features then there are alternative ways to connect and a selection of usage specific servers. The company behind NordVPN is registered off-shore in Panama so if you’re concerned about government snooping from five-eyes countries then this will be a bonus to you. We really like the fact that NordVPN offers a 30-day money back guarantee giving you plenty of time to test it on your Mac system to see if you like the service. VyprVPN offers one of the best looking and easiest to use Mac apps and has been supporting the platform for longer than most other VPN providers. L2TP and OpenVPN are available on the client as is VyprVPN’s proprietary VPN mode called Chameleon. Chameleon will allow you to break through restrictive internet networks such as school or work networks or even those in restrictive countries like China. 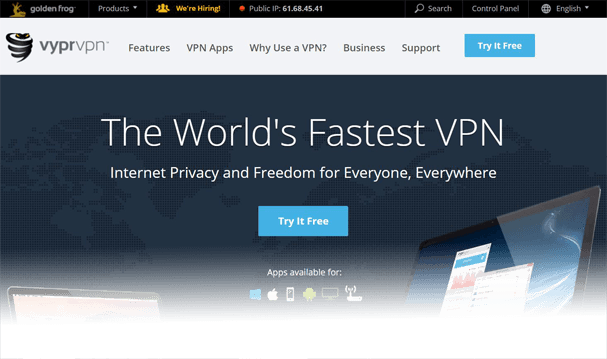 Aside from the Mac client, VyprVPN also offers one of the highest recommended VPN services. One of the best features of the service is the ability to try it without paying. There’s a completely free 3-day trial that lets you test the service first. You do have to enter your payment details to get the free trial but if you don’t like it and you cancel before the 3-days pass you won’t be charged anything. VPN.ac offers one of the best VPN services available and as such their Mac client has always been a good option. However, up until the end of last year their Mac client was one of the least appealing visually and as such didn’t make for a pleasant user experience. This has all changed and a completely redesigned slick interface been released. VPN.ac is what would be considered a VPN service for advanced users but the new Mac client makes it easy to connect and navigate even for the most novice of user. We really like the speeds on the VPN.ac service and although they have considerably fewer server locations than many of the big providers you do get quality over quantity. Choosing a VPN for Mac can be more difficult than choosing a VPN for other platforms. We’re not entirely sure why but Mac clients are often an afterthought for many VPN providers. Finding a good service, let alone a good one that supports Mac can be time consuming. The first place to start is to use an updated guide. Things change quickly in the VPN world and a provider that didn’t support Mac last year may support it this year or vice versa. It’s also a case that the Best VPN for Mac last year is no longer the best VPN this year. We’ve tested hundreds of VPN providers to bring you this updated Best VPN for Mac 2018 guide to save you time and effort. All you really need to do is choose one of the five above. If you want to use the VPN service on more Mac devices with just one account then that’s entirely possible. All the recommended VPN providers listed above let you use the service on between 3 and 6 devices concurrently. It’s also possible to use the same service on other types of devices too including Windows PC, Android, iOS, Linux and even Fire TV depending on the provider you sign up for. There are no limits on how many devices you can use the service on, only on how many devices at the same time. There are also no restrictions on installing it on different types of devices. So although you may have signed up primarily to protect your Mac device, there’s nothing stopping you from using it on other devices too. Choosing a subscription period is usually down to your individual needs. If you’re travelling for a short period of time such as a week or two and you’re only concerned with protecting your privacy in hotels or public spaces while travelling then of course a 1-month account is probably best. However, for most of us the online threats to our privacy are a daily concern and will be long into the future. For this reason it’s well worth considering subscribing for a longer period because savings of 60% or more can be made. We recommend signing up for 1-year because it gives a good balance between price and risk. If you sign up for a 1-month package you’ll pay a high price. On the other hand if you sign up for 2, 3 or more years then you’re increasing the risk of being stuck with a service you either no longer need or has deteriorated. For this reason we recommend a 1-year subscription. There are hundreds of uses for a VPN service on your Mac. However, the most obvious is protecting your online privacy. This can be at home on your Mac desktop or while out and about if you use a Macbook. Alongside protecting your privacy you can also access blocked content. The most common is to unblock access to TV streams from around the world allowing you to watch TV content on your Mac from any country. If you live in a country with restrictive or repressive internet such as China or Iran then large amounts of websites and services are blocked. A VPN on your Mac will allow you to bypass those blocks and access an open and free internet. We understand that searching for a VPN service for any purpose can be difficult. Coupled with the fact you want the best service for a Mac can make the task seem even harder. For that reason we decided to do the hard work for you and test a range of the most well-known and popular services to find out which is the Best VPN for Mac in 2018. We recommend signing up to IPVanish because they offer the all round best service overall but the other 4 choices also make good options for use on your Mac. All you really need to do is choose one of the five above, it couldn’t be simpler.